HOUSTON (CN) – Fly a drone over a factory farm in Texas where cattle or pigs are raised in confinement and you could go to jail under a new law that critics call unconstitutional. It’s a class B misdemeanor in Texas, punishable by up to 180 days in jail, to fly a drone lower than 400 feet above refineries, train depots, dams, natural gas and power plants and many other structures. House Bill 1643, by Drew Springer, R-Muenster, adds oil drilling sites and cellphone towers to the no-flyover list. The Legislature sent the bill to Gov. Greg Abbott’s desk Tuesday. Springer’s aide said Abbott is expected to sign it and it will take effect in September. Scott Pitta, CEO of the Association of Professional Drone Pilots, consults with cities on how to bring their drone use into compliance with Federal Aviation Administration rules and contracts with private companies to fly drones for them. Pitta, a pilot and flight instructor who lives in Massachusetts, said it’s common for the FAA to restrict airspace over large sporting events and for nuclear facilities to have their own airspace restrictions, but the Texas law breaks new ground. “I’ve never heard of a factory farm being considered critical infrastructure. That’s new to me, as someone with over 20 years in the aviation industry,” he said. Pitta said the Texas law may not withstand a court challenge. “Going back to the 1940s, there’s Supreme Court cases that state the national airspace system is entirely under the jurisdiction of the FAA and the federal government and that restricting airspace over a property isn’t something that state and local entities are allowed to do,” he said. He cited United States v. Causby, a 1946 ruling that found a landowner’s property does not extend “indefinitely upward,” in part because the idea clashed with a sky full of airplanes. The North Carolina farmer involved in that case might sympathize with the Texas farmers who support HB 1643 out of fear of what aircraft could do to their herds. Spooked by the military planes that flew into a Greensboro, N.C. airstrip near his farm during World War II, Thomas Lee Causby’s chickens stopped laying eggs and some ran themselves to death into the sides of their coop. He lost 150 chickens, gave up the business and sued the government after it offered him $2,000 for an air easement, according to public records. Though the Supreme Court gave the government domain over the skies, it rejected its claim of ownership of the air down to the ground and Causby was awarded compensation on remand. “If the landowner is to have full enjoyment of the land, he must have exclusive control of the immediate reaches of the enveloping atmosphere,” Justice William O. Douglas wrote for the court in a 5-2 ruling that said flights over land could be considered violations of the Fifth Amendment’s Takings Clause. The Texas Cattle Feeders Association, which also has members in New Mexico and Oklahoma, supported HB 1643 due to concerns that poison could be dropped from a drone onto a feed lot, then turn up on a dinner plate, an association spokeswoman said, using an industry term for the farms. 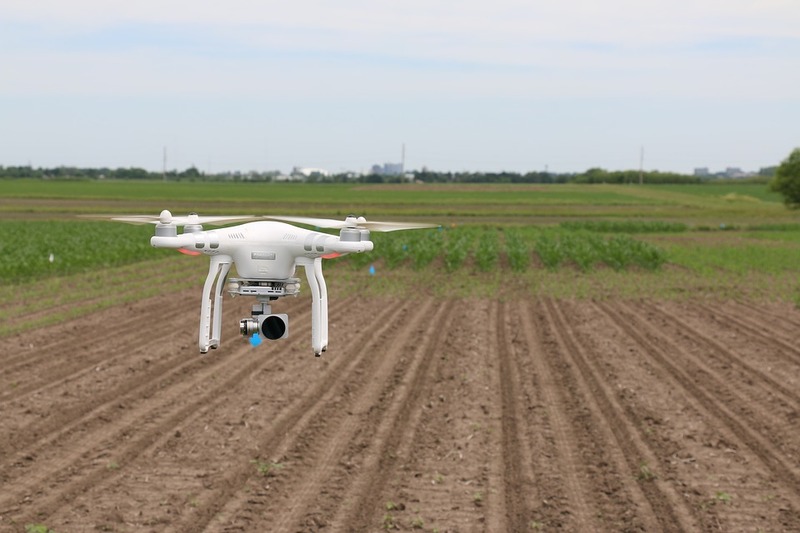 “We have to protect the food supply from biological terrorism like infectious diseases, and having a drone, and you don’t have any idea whose flying it, it could expose you,” Carmen Fenton said. Pitta said those fears are overblown because “off-the-shelf” drones and the hobbyists who fly them aren’t equipped to pull off such attacks. Nor are they likely to be skilled enough to fly a drone over a refinery or large farm, and commercial drone pilots have to be certified by the FAA, he said. “People seem to think that drones are these magical things. It’s battery-powered,” Pitta said. “For the most part, the commercial, multi-rotary drones that are out there folks are using, the ones that are easy to fly, are very limited with what they can carry. Drones that can spray liquid are expensive, Pitta said. He recently saw a drone designed for crop spraying, about 1 meter in diameter, that can carry 10 liters of liquid, selling for $20,000. Other aircraft can also drop poison, he added. “I could do that with a helicopter as well, or an airplane. It’s part of the national airspace system, and if there’s not an adequate reason to restrict the airspace for all aircraft then there’s probably not an adequate reason to restrict it just for drones,” he said. Several Western states have passed so-called “ag gag” laws to criminalize the work of animal rights groups who sneak into farms to record allegations of inhumane treatment of animals.